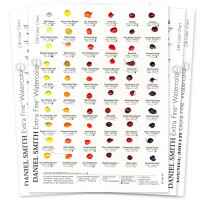 Daniel Smith Watercolour Ground creates a soft, absorbent watercolour surface with a slightly cottony texture that's similar to cold pressed paper. With this breakthrough archival quality ground, you can rescue flawed paintings, create new work on any surface, lift and scrub without damaging the painting surface. 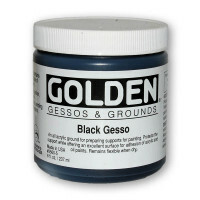 Mars Black makes our Luminescent Watercolors “pop” and also provides an exciting, unexpected background for all your standard watercolour paints. 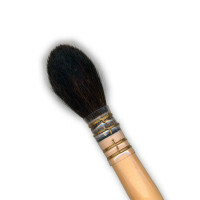 Soft pastels, graphite and watercolour pencils show up beautifully on both the buff and black. 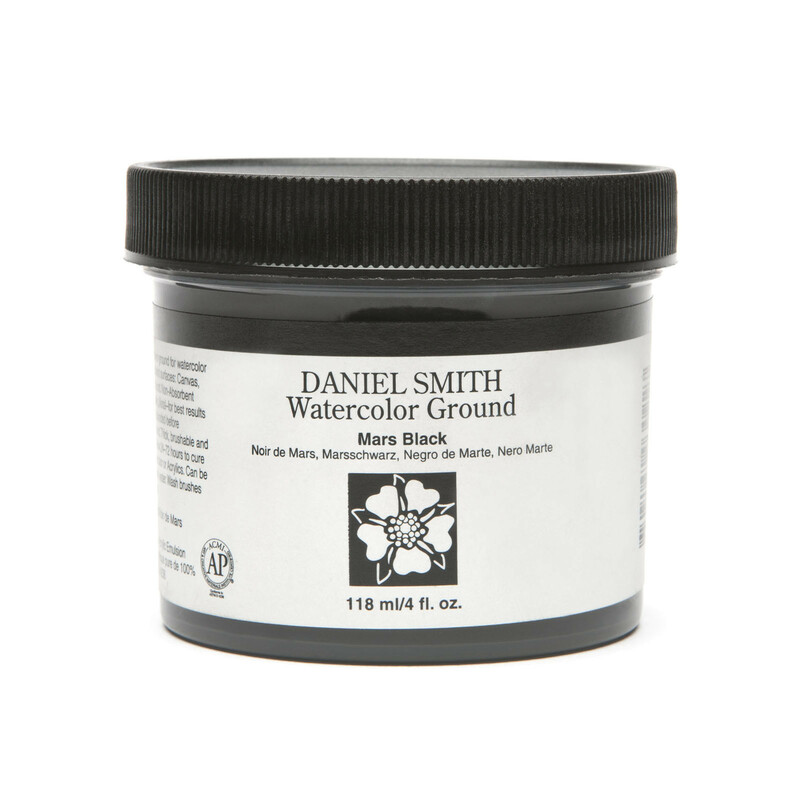 Preparation Absorbent or semi-absorbent surfaces require no special prep before brushing on DANIEL SMITH Watercolour Ground. 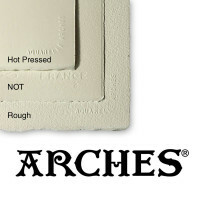 These include paper, canvas and other fabrics, wood, plaster, shells and hardboard. 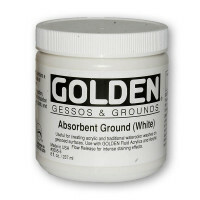 Non-absorbent surfaces such as metal, plastic or glass should be lightly abraded with sandpaper or steel wool before brushing on the Watercolour Ground.